The whole point of investing in any business venture is to maximize what the players call Return on Investment or ROI. Everybody wants the maximum return. Engine builders are no different. 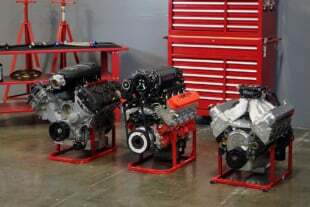 They want to maximize the horsepower return on any investment in bigger cylinder heads that flow more air or a bigger camshaft with more lift. Top all that with plenty of RPM and you have the makings of a stout engine. 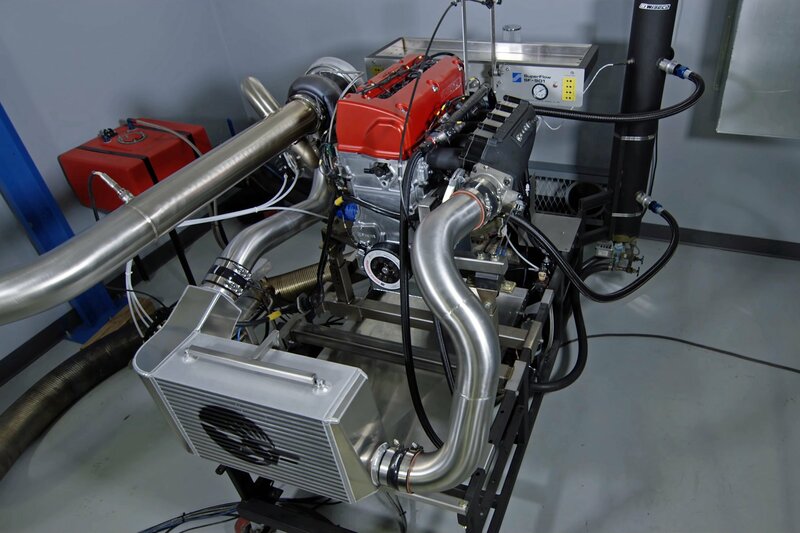 A seemingly insignificant item that can affect your horsepower ROI, is when valvetrain deflection takes a bite out of the power curve. Deflection is defined as valve lift that mysteriously disappears with an unstable valvetrain. That’s why good engine builders focus on every detail – including valve lift lost through deflection. We decided to dive a little deeper into this issue after a discussion with EFI University‘s Ben Strader and Comp Cams’ chief cam designer Billy Godbold. They offered a simple test that should be part of any performance engine-building routine. This procedure is one part of the three-day Competition Engine Development course taught at EFI University. The test is a simple evaluation of maximum valve lift measured first with a checking spring, compared against the lift created with the valvetrain working against actual spring pressure. You might think that this would reveal only a minor amount of deflection – say 0.005 inch – but as we discovered, it can be, and often is, much more. Our test involves comparing maximum valve lift with a checking spring against an adjacent cylinder using the same lifter, pushrod, and rocker arm pushing against the actual spring load. We decided to perform this test on a small-block Chevy with a Crane mechanical roller camshaft and a pair of TFS 215cc aluminum heads. The cam specs listed duration at 232 degrees intake, 240 degrees exhaust, at 0.050 inch, with 0.525-inch intake and 0.543-inch exhaust lift at the valve, using a 1.5:1 rocker. For our test, we substituted 1.6:1 Crane roller rockers. With a checking spring on an intake set at zero lash, the lobe produced 0.572-inch of valve lift. With a lobe lift of 0.350-inch, a 1.6:1 rocker arm should have created 0.560-inch lift. This 0.012-inch lift increase was probably due to either an effective ratio of 1.63:1 or a slight change in the effective rocker ratio caused by a slightly longer pushrod. While you may not think that pushrod length affects the overall valve lift – it does. In a stud-mounted rocker system, the length of the pushrod alters where the rocker arm contacts the valve stem. A correct length pushrod will position the rocker very close to the center of the valve at maximum lift. 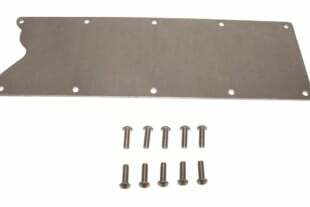 A too-short pushrod will move the contact point inboard and reduce lift while a too-long pushrod will push the rocker contact point outboard of center and improve lift slightly. In a test on a big-block Chevy, a 0.100-inch shorter pushrod lost 0.005-inch of lift compared to the correct length while a 0.150-inch longer than the proper length improved lift by 0.006-inch. These effects are small, but significant. If your engine is running hydraulic lifters, you will have to substitute a mechanical lifter in its place for the check to prevent the internal piston from moving and affecting accuracy. Our test used Crane mechanical roller lifters. We should also point out that that all the testing in this story is accomplished using zero lash. This camshaft normally calls for 0.020-inch lash (hot) on both the intake and exhaust sides. We used zero lash to simplify the numbers and reduce the variables. Next, we measured the valvespring on a Longacre tester at 500 pounds of load at 0.570 lift. With the springs installed on the engine, our first test revealed a maximum lift of only 0.542-inch. This meant that with the dual spring in place, our valvetrain had somehow lost 0.030-inch of lift. There are several areas to investigate to determine where this deflection occurred. Common sense tells us that one of the first places to look would be with the pushrod. We were using a set of Comp Cams chromoly 0.080-inch wall-thickness pushrods. It would not be unusual to see the pushrod deflect, especially when you consider that at peak lift there is a tremendous amount of load trying to collapse the pushrod. We also used this Moroso valvespring removal tool to replace the actual springs with light-duty checking springs. In this engine’s case, we have a spring load of 500 pounds and a rocker ratio 1.6:1, so the load becomes the rocker ratio times the spring load – or 500 x 1.6 = 800 pounds. This is merely the static load applied to a hollow, 5/16-inch length of tubing. Dynamic loading with the engine at peak RPM is much higher. This is why a high-quality pushrod is always something that should be included with any performance valvetrain. Armed with these numbers, this is when Godbold offered a suggestion for an interesting comparison technique using simple math to evaluate valvetrains from different engines for stiffness. Don’t freak out – no rocket science is required. All we need to know is the amount of max lift deflection and the peak spring load. With the checking springs installed, we measured valve lift at 0.572-inch that will be the standard to compare to the adjacent cylinder with its actual valvespring. It’s possible there could be a slight difference in actual lift between different valves. This becomes the stiffness rating for this particular system. We decided to give this process a name – the Godbold Stiffness Rating – or GSR (not to be confused with the either Galvanic Skin Response or Gun Shot Residue – although all three are very revealing in their own right). This rating system offers a way to compare one engine with another despite different valve lifts, spring loads, and deflection. Obviously, reduced deflection creates a higher GSR. Conversely, a wobbly valvetrain creates greater deflection, producing a lower GSR. Checking the valve lift with the actual dual valvespring revealed a loss of 0.030-inch of lift with an actual peak lift of only 0.542-inch. To perform this test, the dial indicator unwinds, which is why it appears to indicate more. Godbold offered that a minimum stiffness ranking should be around 20,000 lbs/in, while better systems can achieve 25,000 lbs/in or more. These numbers are primarily intended for evaluating race engine valvetrains with peak spring loads in the range of 800 to 1,000 pounds. Engines with softer spring loads will tend to produce better GSR numbers so the relationship is not linear. But we can still use these numbers as a comparator to help us evaluate stiffness. 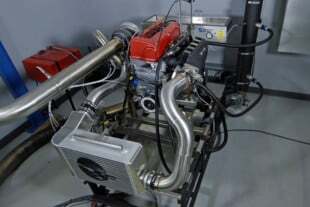 As an extreme example, EFI University’s 11,000-rpm Project Spinal Tap engine uses 1,230 pounds of spring pressure to control the valvetrain. 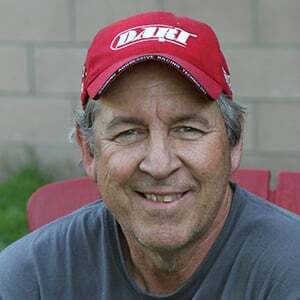 With the best components, Strader has managed to minimize valvetrain deflection to 0.046-inch. This is amazing considering the 1,230-pound PSI spring load, 1.9:1 rocker ratio, and 1.045-inch theoretical valve lift. All this creates a GSR of 26,700 lbs/in. 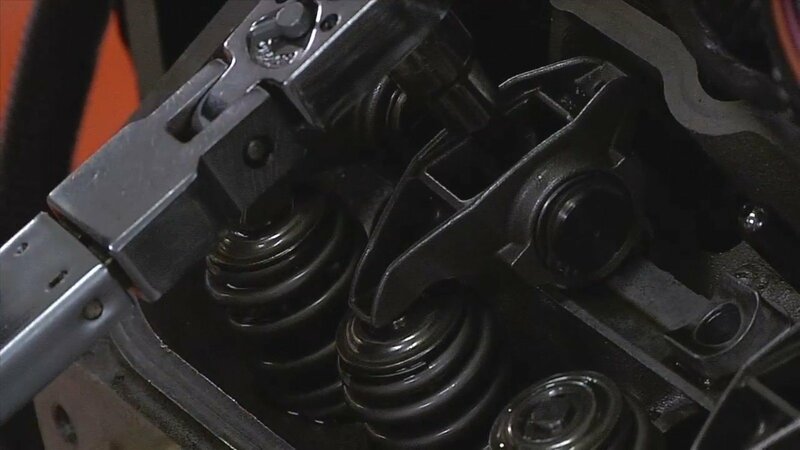 We checked the springs in our Longacre spring tester to find the actual spring load at a given valve lift. In this case, we had 481 pounds of load at 0.542-inch of valve lift. Back to our test small-block – we looked at several areas where we could improve this deflection number. We’ve included a chart that lists the most common areas where valvetrain deflection could occur. 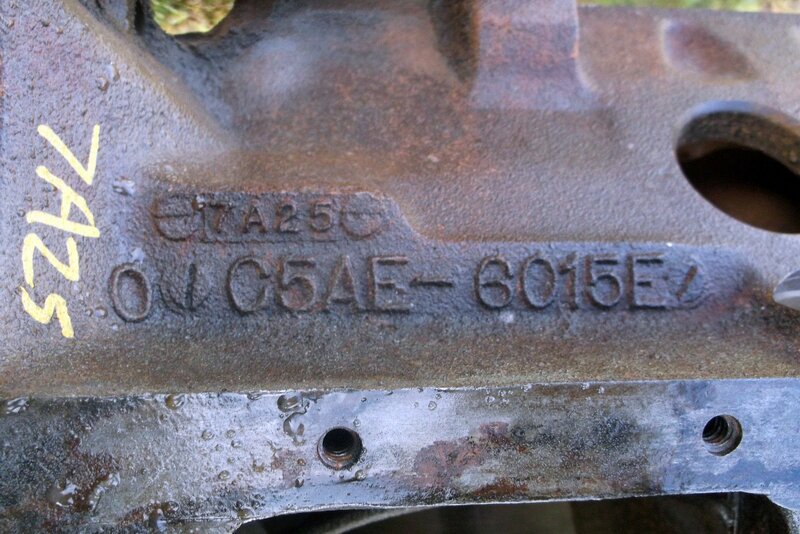 Pushrods, rocker arms, rocker studs, and even pushrod length are all likely suspects. We had a Crane stud girdle for a small-block Chevy sitting on the shelf, so we bolted it on and re-ran our test. The stud girdle reduced the deflection from 0.030-inch to 0.025-inch, which may not sound like much, but this is a 16-percent reduction in lost lift. Recalculating the numbers created a stiffness rating of 19,200 lbs/in which is a 20-percent improvement over the original 16,000 GSR. Another easy step would be to add a thicker-wall pushrod. Several companies like Comp Cams, Trend Performance and others offer 5/16-inch pushrods with a 0.105-inch wall-thickness that are 17-percent stiffer than their 0.080-inch wall cousins. Next, we added a stud girdle to the system and ran through the full spring test again. The test revealed an improvement of 0.005-inch (total deflection 0.025 inches vs. 0.030 inches). The ultimate solution to reduce deflection would be to add a rocker shaft system, but given this engine’s conservative application as a street engine, that choice would probably be overkill. If we were to combine the stronger pushrods with the stud girdle, this might further reduce the deflection. We would have liked to test thicker wall pushrods but did not have access to any at the time of the test. In testing on a big-block Chevy, we did see a minor 0.002-inch improvement in lift when adding a set of 0.135-inch wall-thickness pushrods in place of a set of 0.080-inch wall pushrods. From this, we can assume that we could gain at least 0.001 to 0.002-inch with a set of stiffer 0.105-inch wall-thickness pushrods. Plus, if the stud girdle reduced the deflection in the rocker studs, this should put more load on the pushrods and likely a stiffer version would reduce deflection even further, perhaps reducing the deflection down to 0.020-inch. Weak pushrods are like a silent killer of valve lift. Comp Cams, Trend Performance and others offer 5/16-inch pushrods with 0.105-inch wall-thickness that are 17-percent stiffer than the typical 0.080-inch-wall version. As you can see, even in a mild small-block Chevy there are subtle improvements in valvetrain stability to be made. These tests were performed at peak valve lift, but we can also safely assume that a small amount of valve lift gains could be witnessed between half and full lift. This also reinforces the point that if you do perform a change of this nature, that you should also re-verify the engine’s piston-to-valve clearance. As you can see, even a small change like adding a stud girdle or stiffer pushrods can make a measurable difference in valvetrain stiffness and in durability. 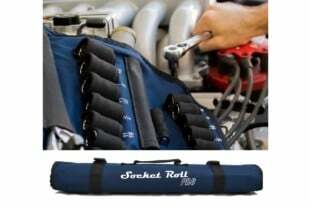 This is also something that can benefit any engine, not just those with mechanical roller camshafts. Adding stability is a move that will always pay off with a happier engine that will also live longer. When installing the springs, it’s best to set up the springs with minimal clearance to coil bind of less than 0.050-inch. Placing the coils very close to each other at max lift will help dampen spring oscillations and improve durability. If you did not check for valvetrain deflection, then coil bind clearance will increase equal to the amount of deflection.